I was having difficulties working with the built in text editor for the ISE FPGA tool from Xilinx. I was missing some of the things I've come to depend on in the editors that I use every day (Visual Studio, VSCode, Notepad++, etc.) I noticed in the preferences that I could choose an external text editor. I decided to see if I could get Notepad++ working. I was able to get it to work, but I first had to add the path to Notepad++ to my PATH environment variable in Windows. Update: If you use Notepad++ as the default text editor, then the test benches do not execute correctly. Le Sigh! Open control panel and edit system environment variables. Add the path to Notepad++ to the PATH variable (mine was "C:\Program Files(x86)\Notepad++"). 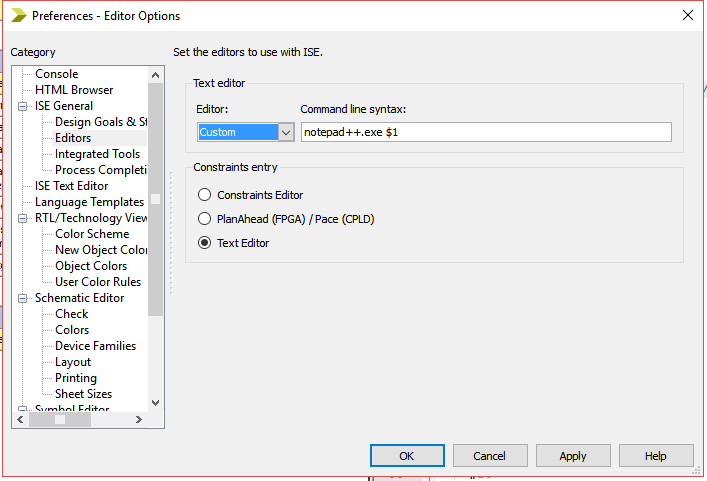 Then, choose Edit->Preferences from the Xilinx ISE editor. As you can see, once you have the Notepad++ path set, you simply need to add notepad++.exe $1 to the command line syntax and choose Custom from the Editor drop down. I was pleasantly surprised to find out that Notepad++ already has language settings for Verilog and VHDL, so all of my code is formatted and colored. When ISE opens the custom text editor, it does it in another window. 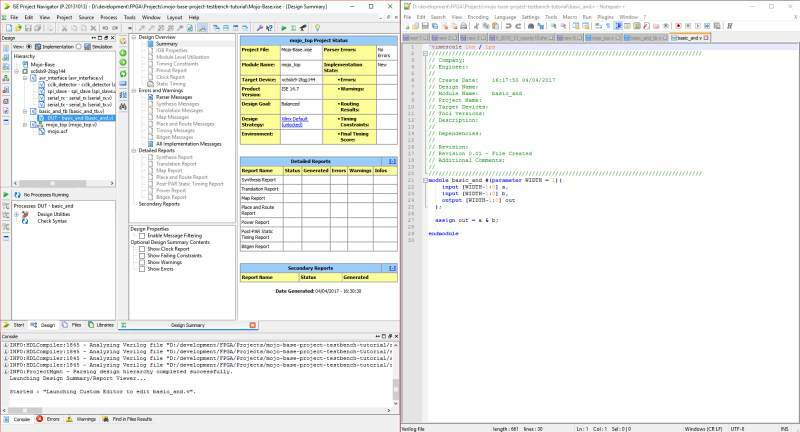 I have docked my ISE and Notepad++ windows side-by-side for an easier workflow. I love working with Notepad++, so this is a welcome improvement as I work more with Xilinx ISE.